Bengaluru International Airport, Bengaluru, India. Completed 2015. 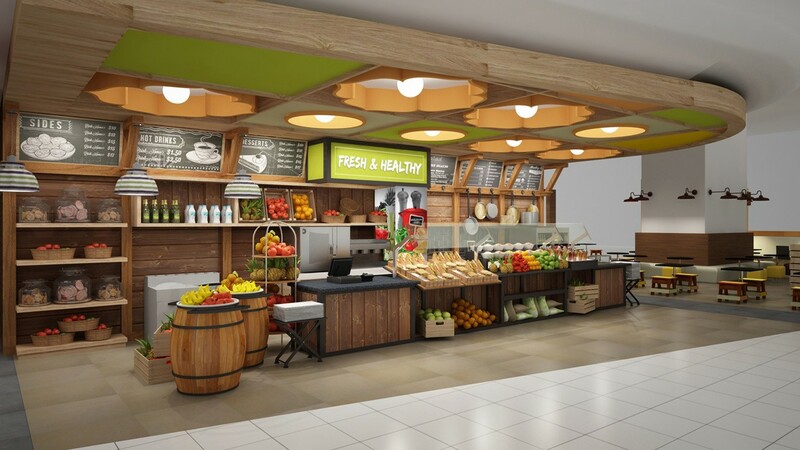 Striking harvest style kiosk with rustic timbers, fresh produce and quick service product lines. 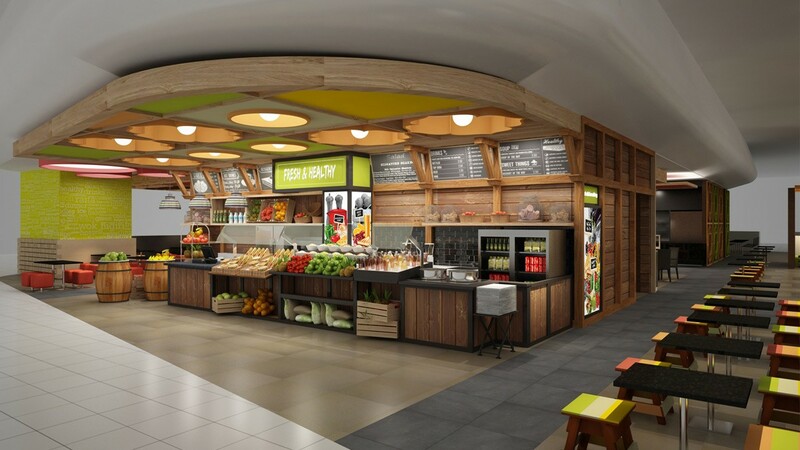 This kiosk will serve healthy food for the traveller who needs a refreshing snack or meal before taking off.